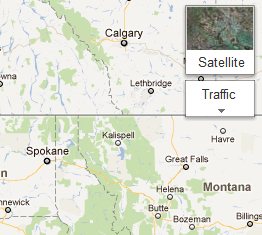 Google Maps replaced the static icons for the satellite and street maps layers with interactive previews of the layers. I'm not sure if they're useful, but they look a lot better than the icons. 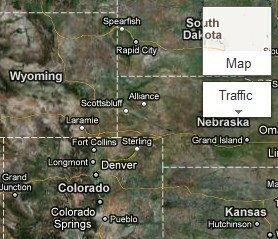 Corey, a reader of this blog, found a better way to describe the new feature: "When you're looking at a map in normal view, the satellite view button shows what the satellite view looks like on the little square where the button is and acts like a window to satellite view like you're looking through the regular map and it follows the map as it moves. I thought that was pretty cool." i must admit this is pretty neat! For me, it worked on Chrome and not Safari. is that a apps by which we can target some ones location ?? please let me know some info about this.